Summer is in full swing! We’re soaking in the beautiful sunshine and warm temps, and we’re loving every second of it! To stay hydrated while we’re on the go and at home with the kids over the holiday weekend, we've stocked up on smartwater, vitaminwater, Gold Peak Sweet Tea, and Honest Tea, with our ExtraCare card at CVS Pharmacy. They have a pretty great deal going on right now! 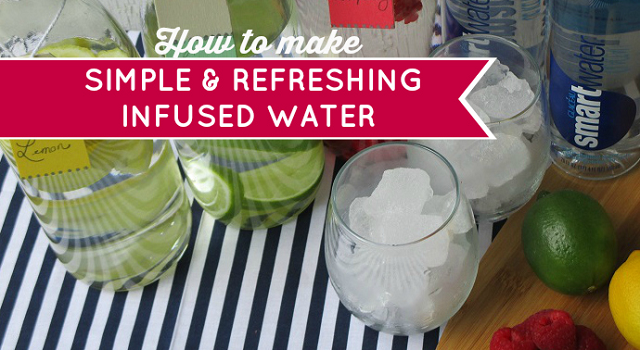 We used some of our haul to create a few refreshing summer drink recipe hacks. 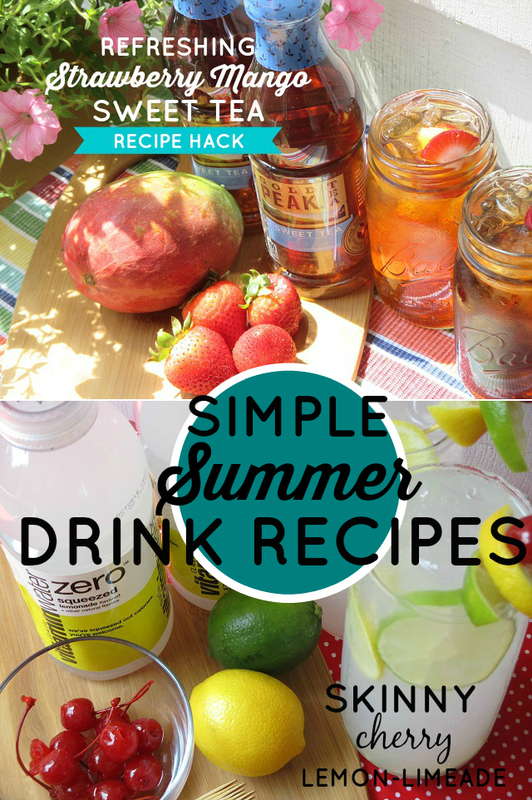 We made 3 quick & simple summer refreshments that are AMAZING to sip on a hot summer day! Peel and cube mango (set a few cubes to the side to use as garnish). Slice Strawberries (set a few slices to the side to use garnish). Empty all 4 bottles of Gold Peak Sweet Tea into a pitcher. Use a fork to press your mango and strawberries (slightly press – do not mash); this will help release the flavors of the fruit / infuse the fruit flavors in the tea. Add all of the fruit to the pitcher. Refrigerate your tea for an hour. Strain the fruit from the tea using a sieve. Return the tea to the pitcher. 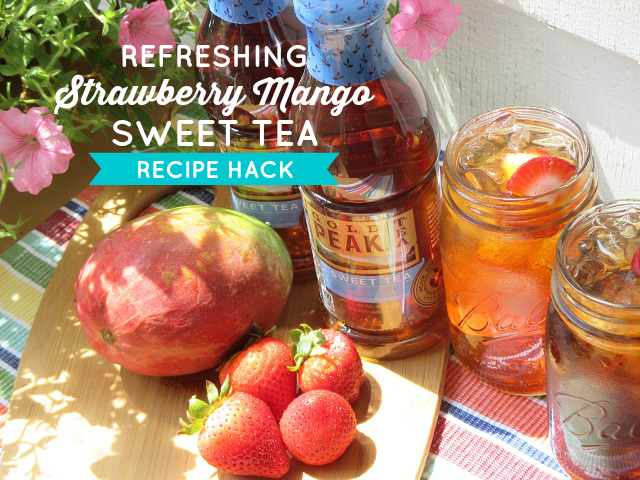 Serve your Strawberry Mango Sweet Tea over ice with a skewer/garnish of fresh strawberry and mango. ENJOY! Slice 2 lemons and 2 limes. Set aside / refrigerate 4-6 slices for use as garnish. Empty all 4 bottles of vitaminwater into a pitcher. Squeeze your lemons & limes into the pitcher. Stir well. Add 1/4 cup sugar-free liquid cherry flavoring. Stir well. Refrigerate for 20 minutes. Serve over ice with garnish. ENJOY! Summer citrus and berries of your choosing. We used 2 lemons, 2 limes, and 10 raspberries. Slice your lemons and limes; lightly press berries with a fork (this will help release their natural flavors) and set aside. Empty all 4 bottles of smartwater into a pitcher, or carafe. Add whole slices of limes / lemons to your water; twist citrus pieces lightly as your adding them. Add your berries. Refrigerate for 1 hour before serving. Serve over ice. ENJOY! Like I mentioned, right now you can purchase 4 smartwater, vitaminwater, Gold Peak and Honest Tea (any combination) with your CVS ExtraCare card for just $5 and you'll receive $2 in ExtraBucks, good towards your next purchase! Pretty amazing deal, right? It's the perfect time to stock up, before the long holiday weekend! Deal valid from 6/28-7/25. Be sure to head in to your local CVS Pharmacy before this great deal ends! What's your favorite summer drink to sip on a hot summer day? Share in a comment below! *Disclosure: This post contains paid/sponsored links. All I have to get is the tea to make the Strawberry Mango Sweet Tea! I love mangoes and strawberries together and think this is such a refreshing drink in the Summer months. Thanks for an awesome recipe. 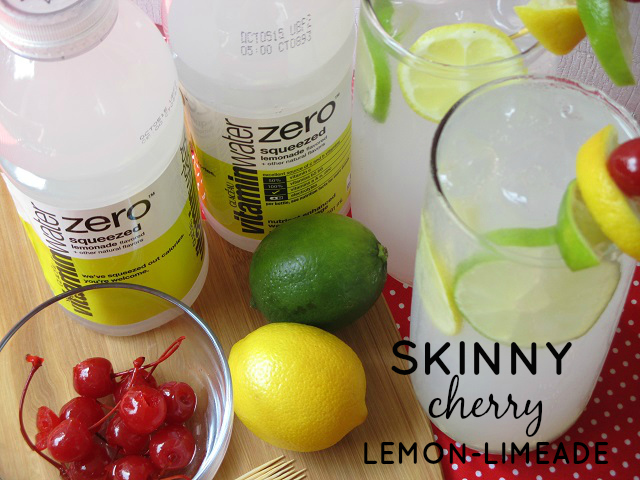 The Skinny Cherry Lemon-Limeade look so refreshing. I love that it is low-calorie and will keep you hydrated.